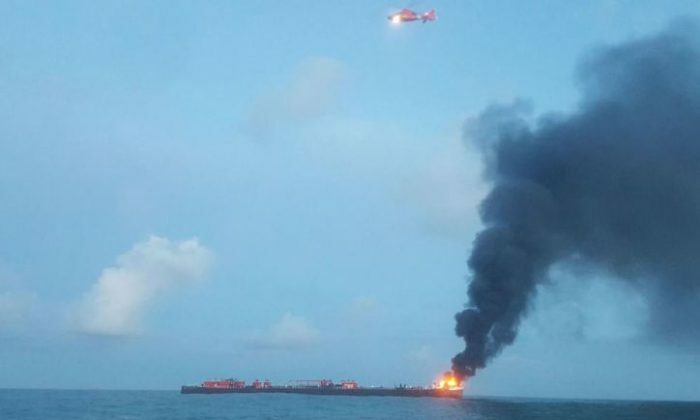 At least one person was killed and another was missing on Friday after an oil barge being pulled by a tug boat caught fire and exploded in the Gulf of Mexico off Texas, officials said. The barge was carrying some 133,000 barrels of crude oil to a refinery in Corpus Christi when the explosion occurred at 4:30 a.m., they said. The dead person had not yet been identified and the fire was allowed to burn itself out before being extinguished, said Rick Adams, Emergency Management Coordinator for the City of Port Aransas. Six of the eight crew members were rescued and did not suffer any serious injuries, Adams added. “There are initial reports of some oil in the water,” the Coast Guard said in a statement, adding a safety zone had established around the area. Bouchard Transportation, which owns the barge and the tug boat, did not immediately respond to a request for comment.